“Pulitzer Prize plays do not grow on bushes, a circumstance which is bound to complicate their grafting to the cinema.” Frank Nugent, New York Times, 1938. 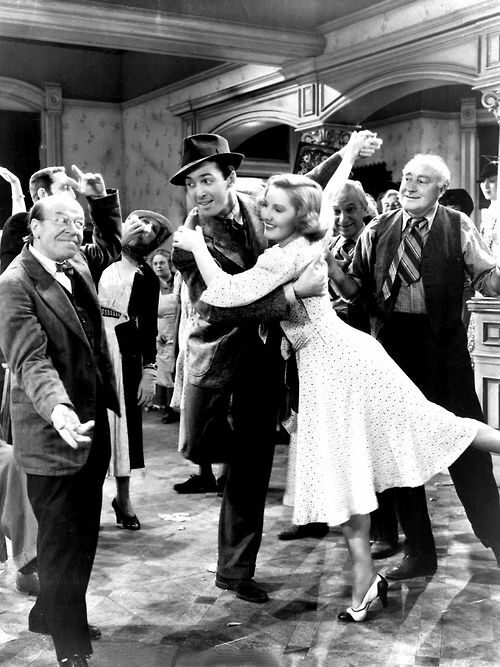 The fact that You Can’t Take It With You, the George S. Kaufman and Moss Hart madcap smash hit, was made into a film at all by Columbia Pictures was something of a miracle, considering the battle at the time between studio chief Harry Cohn, and director Frank Capra. 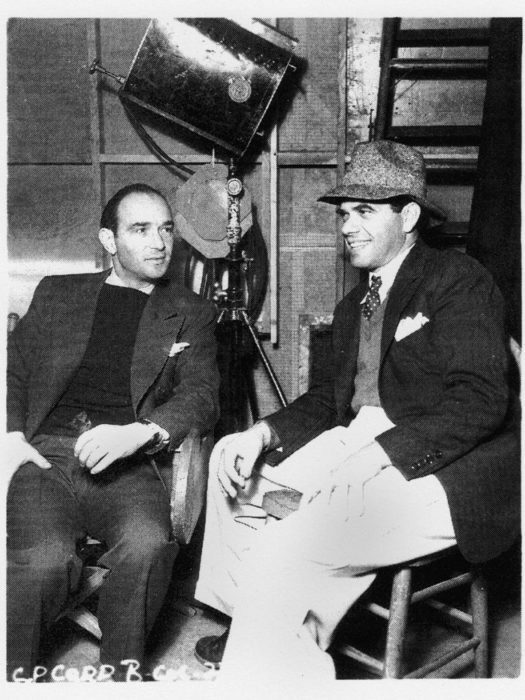 My father, screenwriter Robert Riskin, and Frank Capra tackled the project on the heels of Lost Horizon, a film of such grandeur and scope that production costs had sent Harry Cohn into a tailspin. 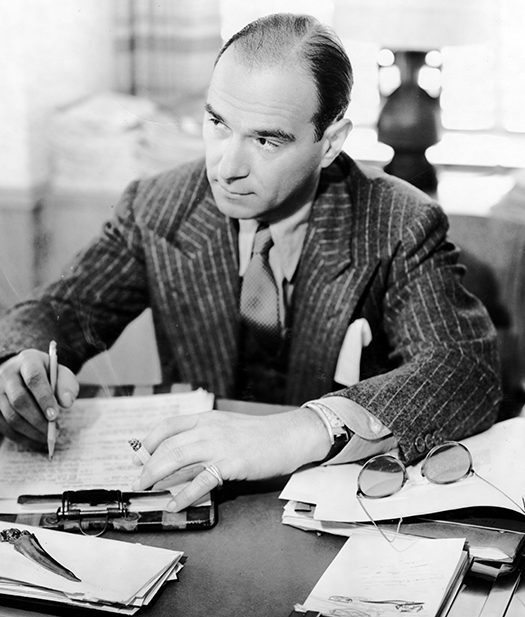 He had taken over control of Capra’s six-hour version, enraged Capra, his top director, who in turn sued Cohn, leading to a war of lawsuits that rocked the studio. Cohn and Capra had stopped speaking for nearly a year and to all observers, the Capra-Cohn relationship was permanently over. 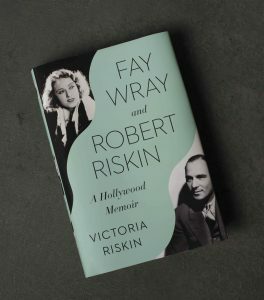 My father had spent months navigating between the two men, staying loyal to Capra, choosing not to renew his own contract until Cohn settled with his partner. 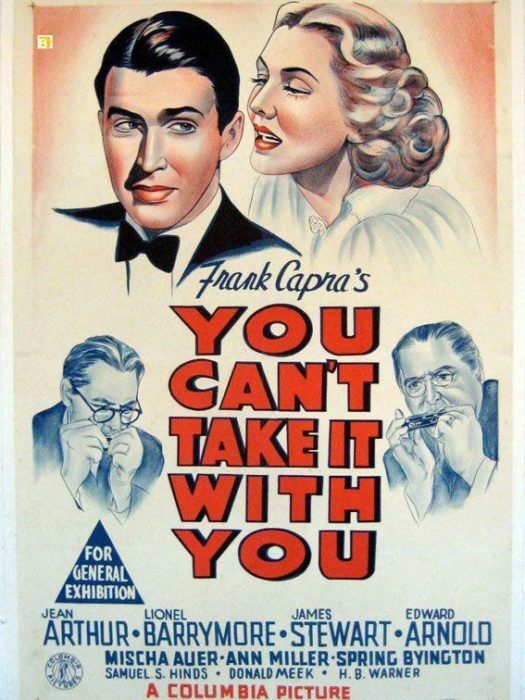 When the battle finally ended, Cohn offered Capra a lucrative new contract and agreed to buy the rights to You Can’t Take It with You as a peace offering, although he groused loudly—but then again he always groused—the rights were too expensive. Riskin and Capra were happy to be working together again and charged ahead, my father finishing the screenplay in record time and Capra filming the movie on time and on budget. The challenge was to break the walls of the stage play, take the action to other locations, deepen the fluffy story, and give dimension to the characters. Clearly the film succeeded, as Frank Nugent said so aptly. The Motion Picture Academy agreed, giving the picture seven Oscar nominations including Best Picture, Best Director, and Best Screenplay. The film won Best Picture for Columbia, Best Director to Capra and my father lost out to George Bernard Shaw for Pygmalion. Your father had a productive creative relationship with Frank Capra. This is a very interesting piece on the problems they faced to create another classic picture, especially one as challenging as You Can’t Take It With You.